There’s a current American obsession with tiny homes. Whether stemming from necessity as home dwellers look to live more with less, or from the curiosity of taking on a unique design challenge, the fascination has inspired a re-evaluation of space. Shows like Tiny House Nation have captured the essence of how to create spaces that utilize spatial design in clever and effective ways. 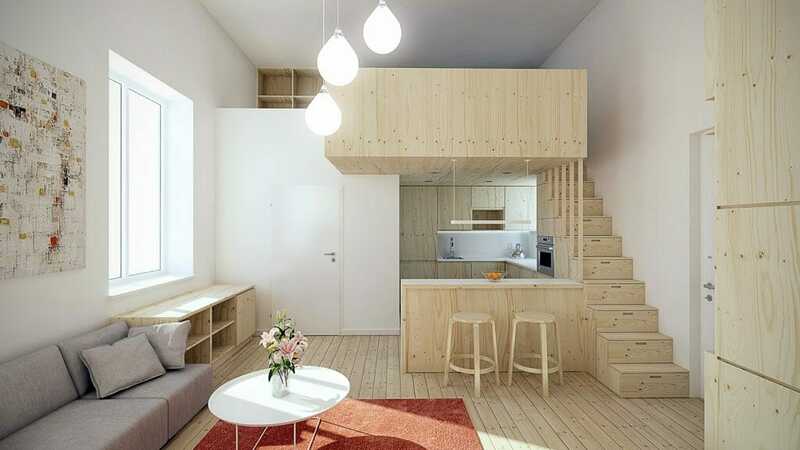 Whether yours is a tiny home on wheels or an 11‘x11’ city studio, we’ve got just the solutions you need for small living spaces. One of the simplest ways to accommodate furniture in a small space is being mindful of selecting pieces that are multi-functional. Storage can be challenging, so coffee tables with generous drawer space or ones that ingeniously work in stools or ottomans are smart and stylish space savers. 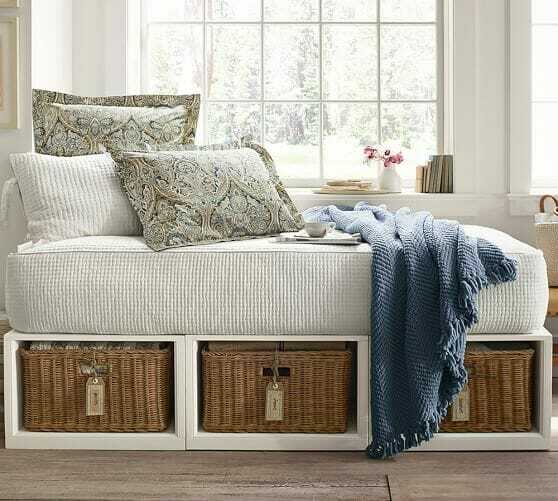 Daybeds with storage underneath and sofas with hidden compartments can act as great living room seating. 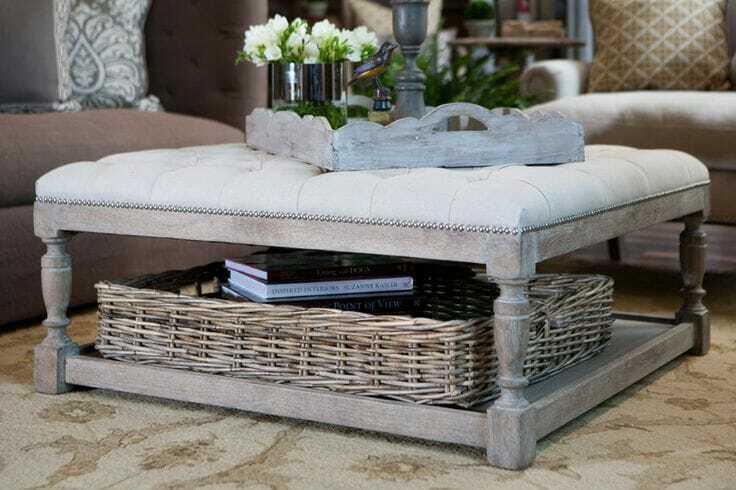 Storage ottomans are also great multipurpose pieces that can serve as side tables and extra seating. When floor space is precious, making use of other surfaces like walls and ceilings is crucial. By lifting furniture from the floor, a small living room can feel more expansive. 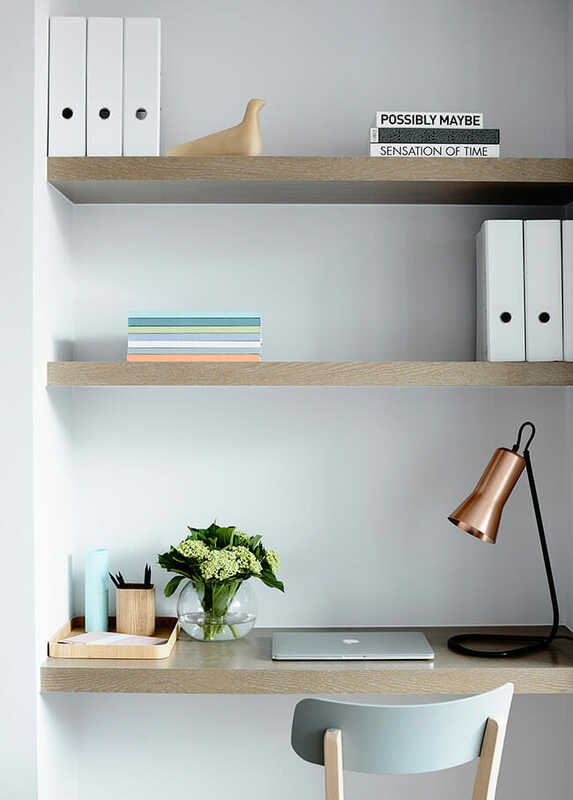 Floating wall shelves, desks, and consoles are popular options. Feeling a little more resourceful? 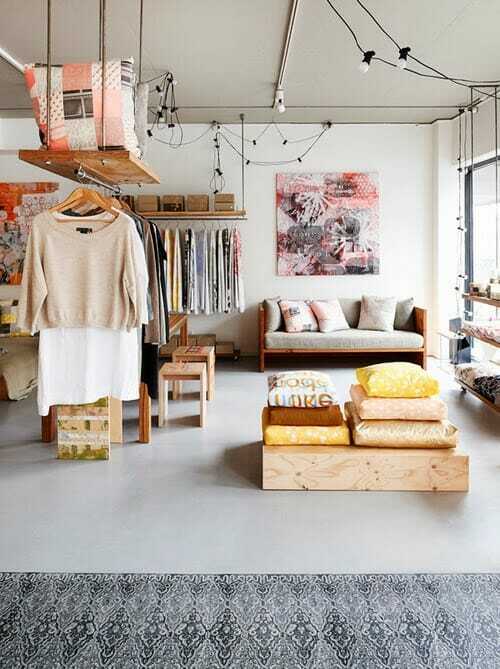 Try using ceiling suspended shelving for a design change. Closet and room doors require space for comfortable opening and closing. To free up a few feet of room, consider installing sliding or pocket doors which, when open, can combine areas. A barn door is a favorite as a rustic chic option. One other way to create flexible areas in your living room is to use bookshelves, screens or even panel room dividers. Foldable, these can separate spaces without the need of walls. With a wide variety of designs to choose from, these can really enhance the style of your space. Having space savvy furniture pieces definitely help in the comfortable design of a small living space. For more creative design solutions customized to your space, consult with your favorite online interior designer.